Within the scope of the project supported by UN Women, Coordination mechanism from Zvečan and NGO Aktiv have organized planting of pines, alongside with Elementary school Vuk Karadžić from Zvečan. The Office of UNMIK in Zvečan has also supported this activity, with a special gratitude to the Municipality of Zvečan for their help. With the joint cooperation of AKTIV and D4D on Tuesday, April 16th at the Civic Energy Center (CEC), judges, representatives of civil society, as well as the Chairperson of the Election Complaints and Appeals Panel Mr. Mul Desku and members of the local election commissions gathered together to work on updating the manual of institutions dealing with the unravelling electoral disputes. The workshop was organized with an aim of getting inputs, suggestions and recommendations that would enable understanding of how the election process unfolds and the complexity of these election operations. Thus some electoral disputes may be very difficult to resolve and require profound technical knowledge and expertise in electoral operations. 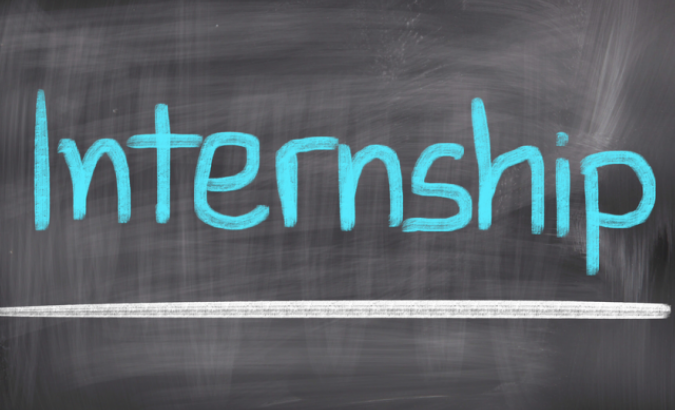 Therefore, presence of the relevant experts was of the great importance. The workshop was facilitated by the Local Expert Mr. Florent Spahija. U novoj emisiji Sporazum koja se emituje na programu TV Mreže, RTV Kim i TV MItrovica svake govorilo se o Briselskom dijalogu i normalizaciji odnosa Prištine i Beograda uoči zakazanih izbora za Evropski parlament koji će se održati od 23 do 26.maja ove godine. 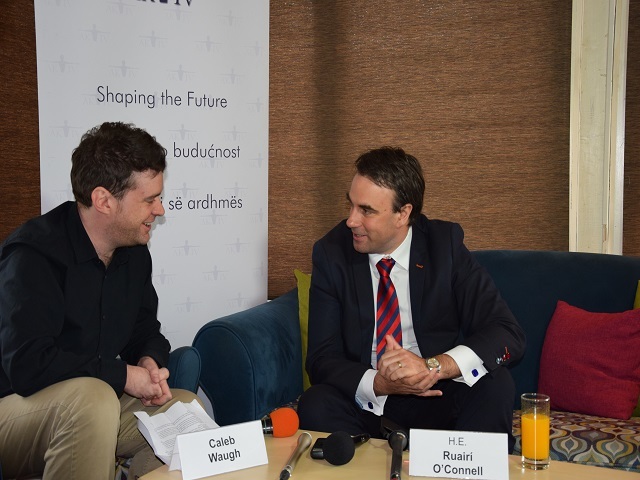 On Thursday, the 18th of April, NGO AKTIV had the pleasure of hosting an open discussion attended by the Ambassador of the United Kingdom in Kosovo, Mr.Ruairí O’Connell. 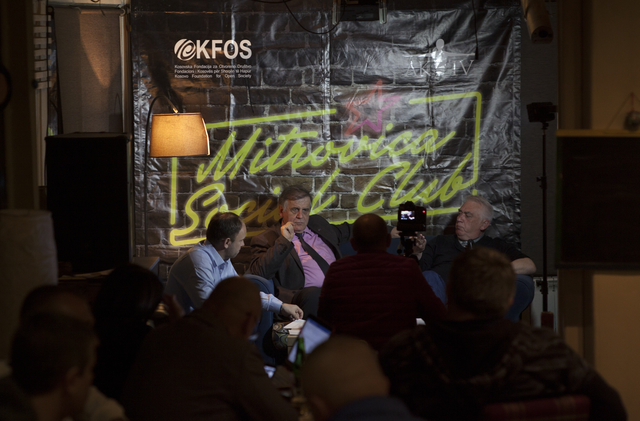 The discussion was held as part of the project Critical Thinking and Analysis of Global Affairs that is geared at increasing participants’ understanding of outside political developments and their potential impact on Kosovo and the Western Balkan Region. 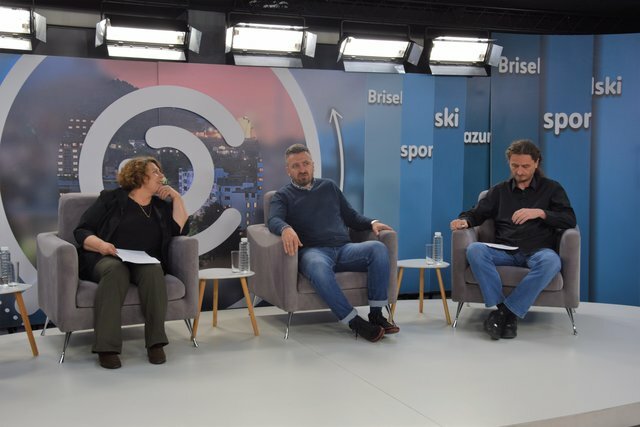 The discussion was moderated by the Head of NGO AKTIV’s Policy Office, Caleb Waugh, and covered a range of various issues that can affect internal dynamics in Kosovo that ranged from Brexit and potential general elections in 2019, to partition and inter-ethnic relations in Kosovo. On Thursday, the 18th of April, NGO AKTIV will have the pleasure of hosting His Excellency, the British Ambassador in Pristina, Mr.Ruairí O’Connell. Briselski dijalog - šest godina posle naziv je nove emisije Sporazoom. U njoj će gosti razgovarati o rezultatima briselskog dijaloga (pozitivnim i negativnim aspektima za zajednice, implementaciji dogovorenog na terenu, otvorenim pitanjima), oceni EU kao posrednika u dijalogu uoči evropskih izbora iz ugla srpske i albanske zajednice na Kosovu, raspoloženju građana i mogućim scenarijima na severu Kosova. U novoj emisiji SporaZoom govoriće se o pogledima Beograda i Prištine na platformu Skupštine Kosova za dijalog, kao i njenim međunarodnim aspektima. Aktiv aims to enable the meaningful involvement of the Kosovo Serb community in the construction of a participatory, peaceful, and prosperous future for the region.